I am writing this on my flight back home to Norway, an early flight leaving Warsaw at 9:20am, after just four hours sleep tonight, with limited access to Internet, so if my memory is wrong please bare with me and let me know. I will probably make these notes in some sort of editorial pages, but for now, a thread on the talks forum here is the easiest way for me to do this. When The Rolling Stones announced their touring plans on Oct 15, 2012 I think they mentioned something like four shows, two in UK and two in the US. Then they added Brooklyn. Since then we have got more than one hundred shows every year since - 2012, 2013, 2014, 2015, 2016, 2017, 2018 - not a single year without another tour, and a number of shows. They have toured the world. Except for Africa, and India, every major corner of this planet has been covered. They even did Cuba, which has been on my wish list since I first visited Cuba in 2000. For me, it is like a dream come through, to see The Rolling Stones live forever. I did really start this thread because I wanted to pass on some touring rumours, but as I am on my way home, from such a great tour, I am getting emotional of course, so I have to dig into the past, to better explain and understand the future. A complete new tour. Probaly next year. They will do it a la carte, and MSG multiple shows is on the wish list. A big city tour, it's up to the tour organizers to make an offer that fits into their plans, so patience and some time, if everything works out like expected, the North America visits in 2012, 2013, 2015 and 2016 may be repeated with another great tour in 2019. The offer is on the table. I just wish they can make it. Not just 2-3 shows, but a real residency, with a side trip to Sao Paulo to please the Brazil fans. The offer has been on the table ever since they visited Japan in 2014. Three shows is not enough, may be another residency, multiple shows. The Rolling Stones have the great privilege of being able to pick and choose. The world want the Stones, and they may pick where to go, not just for commercial reasons, but also for the fun of it, for the pure joy, and to please us, the fans. I think their touring plans makes sense. 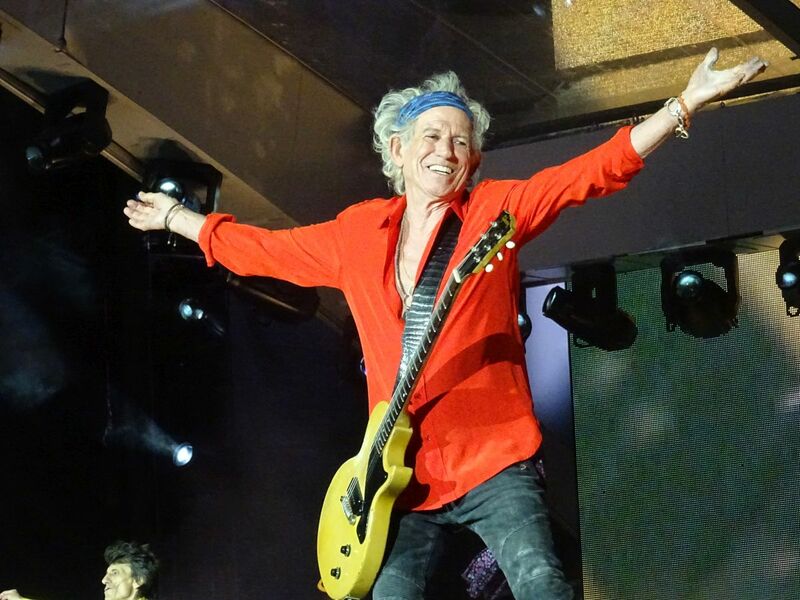 We just have to wait for them to discuss the offers, and to decide, and to give us a little bit of touring at the time, and of course, most important of all, that everyone, including you and me, stay healthy so that we can enjoy Stoneslife wherever they go in Stonesland! The North America Tour is expected to start some time late spring i.e. late April to early May 2019. Tour announcement expected 6-8 weeks before that i.e. March 2019. Since this is six months from now things may still change. That is why they keep all options open as long as possible. Edited 5 time(s). Last edit at 2018-10-25 21:11 by bv. Japan, baby! Singapore, Hong Kong, Shanghai would be great as well. Hell, why not Saigon? The stadium there would probably collapse but some wide-open spaces are around. Do 3-4 nights at the National Theater. Happy 'Strawberry day' when home! By the way, I have been in touch with so many Stones fans in Jakarta Indonesia, it must be more than hundred I talk to there, I think Jakarta was on the 2014 options list, if they ever go back to Asia, who knows, may be, may be. BV- Great seeing you randomly in the streets of Edinburgh and at the show again, and thanks so much for all you do. The pictures of Keith on this tour, especially the one above, shows such pure joy and happiness, which was on the faces of all of the band the one night I saw them, and in the photos from the tour and also within the faces of the crowd. It really is a dream come true for them, and for us. All the critics should just ride off into the sunset as thats exactly the opposite of what this band is doing, and that's just @#$%& awesome as they keep setting the bar as they've done since I started following them in the early 70s. Long live the Rolling Stones. Well..if they gonna do Argentina n Brasil..
Beautiful words Bjornulf, very emotional....yes and i agree let the Stones and ourselves healthy enough to enjoy the future together.....looking forward to see them again. Bernard Fowler said on air in Polish Radio - Warsaw is not last show for sure. Saw great Warsaw show and going back to Asia by tonight's flight. 14 On Fire asian leg was a very special experience for me. I hope they do it again not only Tokyo. Jakarta, and they have never visited Korean peninsula. Also philippine. Macca already did his first show at Seoul olympic stadium successfully in 2015. Edited 1 time(s). Last edit at 2018-07-09 12:48 by a bigger nut. North Korea a possibility if Trumpy Dumpy does a deal? Looks like they are going to play 'til they drop - so should be at least another 20 years of touring left! Now THIS is a proper thread about The Stones and future tours!! You and Keith and Ronnie and Charlie and the band are on fire right now!!! Thanks for the Info, Bjornulf. BV, thank you so much for all you do. The Stones don't do anything for us the fans. Yes, we may enjoy what they do but at the end of the day they do it for financial gratification and their own pleasure. It doesn't go beyond that. I really hope for more shows. Really, anywhere. I will be there! Let's start with South Korea. This country is a mystery, none of big bands have played in Seoul or elsewherere. Did they hate r'n'r or are they only formated for pop or K-pop ? I'll definitely be at MSG next year if they come here. That would be quite an event. My dad met you in Cardiff Bay and just that little chat really made his day (he's not even on this forum, I feed back to him...), along with one of the best shows of the tour - we did 7 in total which was absolutely awesome. Although on this tour I think it's been much more difficult to rank the shows (than perhaps the 2017 leg) as they've all been such high quality. Looking forward to shows in the US next year, although fitting in with work etc is always a challenge! Edited 1 time(s). Last edit at 2018-07-09 15:51 by StonesSmeth99. 2019 will be better than 2018 !!! I hope we have some new material if they return to USA. 16 war horses and 3?new songs. I thinking asking for 3 songs is not pushing it. Love the stones but the set list has to change a bit. Love the idea of multiple shows in select cities. Wish list for me would include NYC, SF, LA, Denver, Seattle/Vancouver. We are all so fortunate to still have this band to follow, any city would be great! Thanks BV for the great info. I know Metalica, RHCP, Cure and Oasis did in South Korea. This made me laugh, thank you. Boys are in a good shape, but Mick can't make more shows than 14 per year. His throat can't make it. I hope we will hear them in next years and I think also that they will maybe make some residency in - perhaps - States, just only not to travel.. Maybe No Filter Tour was the last "normal" tour, where Stones went to few cities - maybe next year people would have to come to NY to see serie of concerts.